Machine Speed: 370 Strokes/ Minute. 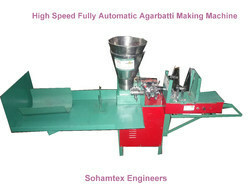 Length of stick 10", 9", 8", 12", 11"
To net propelling demands of our esteemed clients spanning all over the world, we are offering a wide assortment of Fully Automatic Agarbatti Making Machine(ESNF 180). We manufacture these products under the vigilance of our qualified professionals using optimum quality raw material and advanced technological developments. 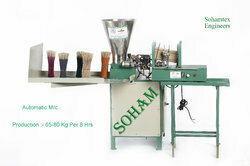 Moreover, these products are checked on various parameters. Our offered products are appreciated for their sturdy construction and high grade quality. 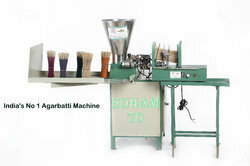 We offer these products at industry leading rates. Design & Manufactured By "SOHAM"
Looking for Automatic High Speed Incesne Stick Making Machine ?